Allied Health Training Institute was established to provide affordable CNA, Home Health Aide and Phlebotomy training and instruction leading to certification. Ilene Demling, the founder and president, has worked as a nurse for 23 years. Her experience spans nursing homes, psychiatric nursing and community nursing, including 4 years as a CNA instructor and 10 years of staff education. Allied Health Training Institute is a Limited Liability Corporation founded in 2013. The facility is housed in a medical professional building located at 1750 Zion Road, Suite 106 in Northfield, NJ 08225. It is easily accessible to public transportation, has ample parking and is in a safe, secure area. 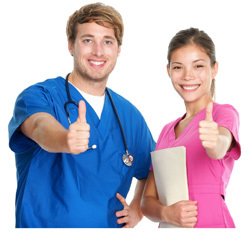 Allied Health Training Institute is state certified through the State of New Jersey. The facility boasts a brand new state-of-the-art facility, which houses the latest technology to support the students learning experience. All of the classrooms are equipped with computers and the latest software to ensure that students are prepared for state certification. 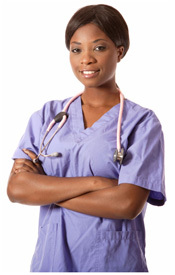 To provide affordable training and career opportunities to a diverse demographic within the health industry. To help every student reach his or her potential by fostering academic growth and personal growth. Allied Health Training Institute will fill a need for affordable CNA, Home Health Aide and Phlebotomy training for individuals seeking a new career in the ever growing field of medical and health professions. Our class sizes are small for greater individual attention. Each course is offered individually, which allows students to choose the path that is right for them as opposed to taking unwanted courses. Organizing the courses individually allows Allied Health Training Institute students the ability to get an education without going into a lifetime of debt. We believe that our primary purpose is to educate each student to the highest possible level of academic achievement by providing an appropriate curriculum in a professional, safe environment. We are committed to helping students grow emotionally and develop social skills. We believe in creating an environment that encourages learning and social growth through character building and high expectations. Treating patients is a hands-on career, and AHTI believes that’s how it should be taught. In these programs you’ll complete a professional externship program in area laboratory settings creating confidence; transitioning from student to working professional. 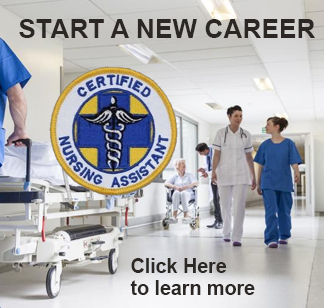 Learn more about training for a position in the health care industry as a Certified Nursing Assistant (CNA) or Home Health Aide (HHA).